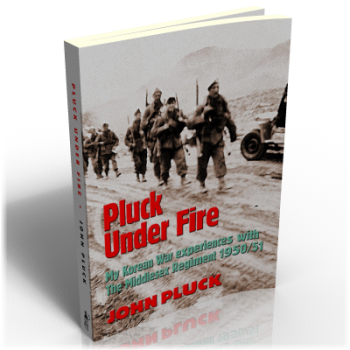 In September 1950, at 23 years of age, Corporal John Pluck was one of the most highly battle-trained soldiers in the British Army. He had, however, no experience of being ‘under fire’ in any war, large or small, and had yet to hear a shot fired in anger. What he was to experience there would remain in his memory for ever. But John was to discover that all that training had not prepared him, his fellow NCOs, or the officers in charge, for the type of war they were to encounter in the hills of Korea. Conditions were harsh, the terrain difficult, the enemy unpredictable and morale amongst the British troops became consequently low. After a gap of 50 years, John recalls his experiences in the front line as if they happened yesterday, exposing, amongst other things, the poor judgement and leadership of his superior officers that made his time in Korea something he could never forget.